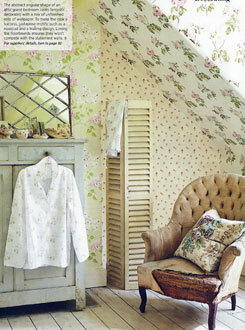 Many thanks to Period Living for featuring our products so beautifully in the September issue! 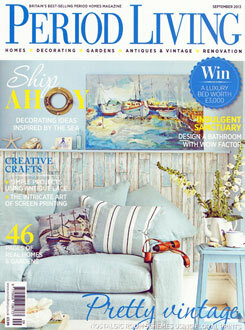 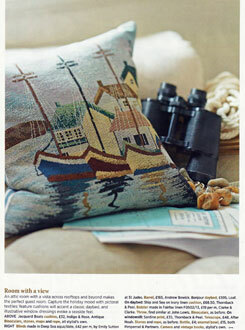 Our Jaquard Boats Cushion makes it onto the front cover and is in the superb 'Ship Ahoy' feature inside. 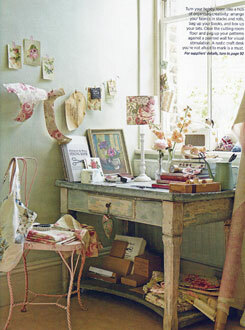 ..... and in the fabulous 'Floral Nostalgia' feature we have our Vintage Rose Bouquet cushion, Vintage Floral bag, Faded Roses lampshade and base, plus Liberty print Lavender Hearts and Bird.